1966. 172 pages. Pictorial jacket over blue boards with gilt lettering to spine. Firm binding with light tanning to text pages with light tanning and foxing to endpapers and text edges. Scraps, small bumps and dog ears to text pages edges. Noticeable bumping,rubbing and scuffing to spine ends and to corners with rubbing, scuffing and wear along edges and over surfaces. A few marks to front and rear of boards. Small bumps to corners. Fair wear to dust jacket with tears, nicks and creases to the spine, edges and corners. Jacket is in removable plastic cover. 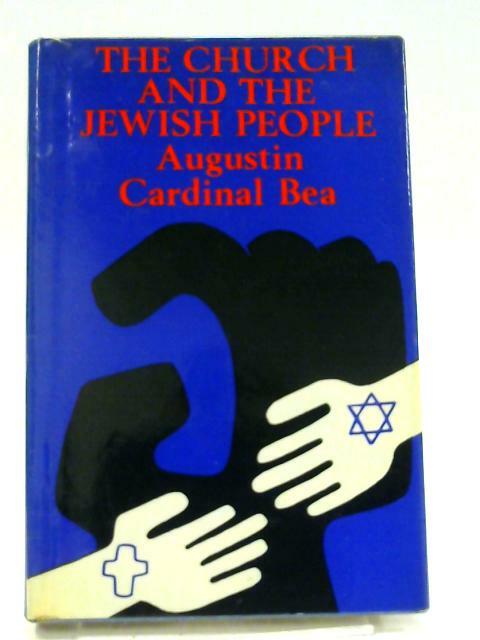 The Church and the Jewish People translated by Philip Loretz S. J.